The World Cup draws in hundreds of millions pounds in sponsorship deals. It’s a big bet for companies looking for awareness. Does it pay off? The latest study reveals the UK’s high interest in the World Cup with over two-third of those surveyed (67%) indicated that they were “interested” in football, while 42% of respondents said they saw the vast majority of games or every single game. The survey also highlights viewers’ response to branding and sponsorships of the World Cup. McDonald’s and Coca-Cola are the most prominent sponsors in consumers’ minds. Crucially, over half of respondents believe the amount of sponsorship and branding is just right, while 40% believe there is too much, but the majority feel that being linked to the World Cup improves the reputation of the brand. This study is aimed to investigate the UK’s awareness and perception of branding and sponsorship of the World Cup and the impact on brands who sponsor such events. 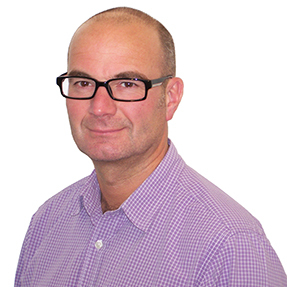 The eight-minute online survey was completed by 2,759 participants and was conceived, designed, fielded and analysed using the Harris 24 ultrafast polling service during July 2018. This report focuses on the results from respondents from the UK. Results are weighted to be representative of UK demographics by gender, age and region. 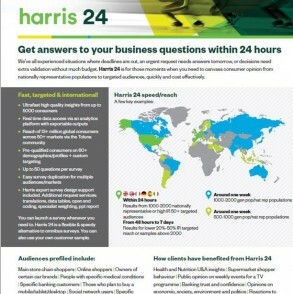 To learn more about Harris 24, visit: http://harris-interactive.co.uk/solutions/harris-24/.